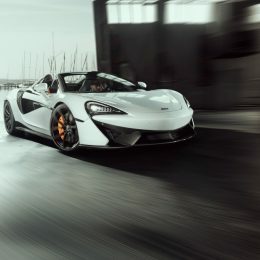 As a result, NOVITEC refines the McLaren 570S Spider not just visually, but also gives the two-seater even better performance on the road: The sprint time to 100 km/h is shortened to just 3.0 seconds. 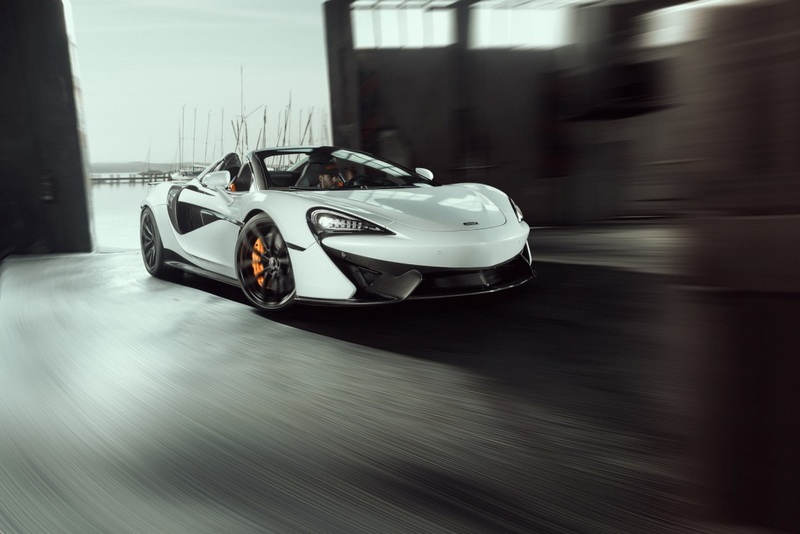 The top speed increases to 335 km/h. 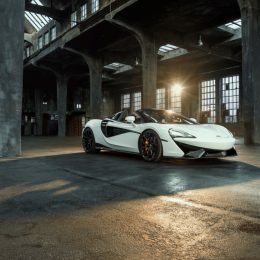 Also part of the product range: NOVITEC RACE high-performance exhaust systems in different versions, sport springs for even more direct handling, and countless options for making the interior of the British sports car even more exclusive. 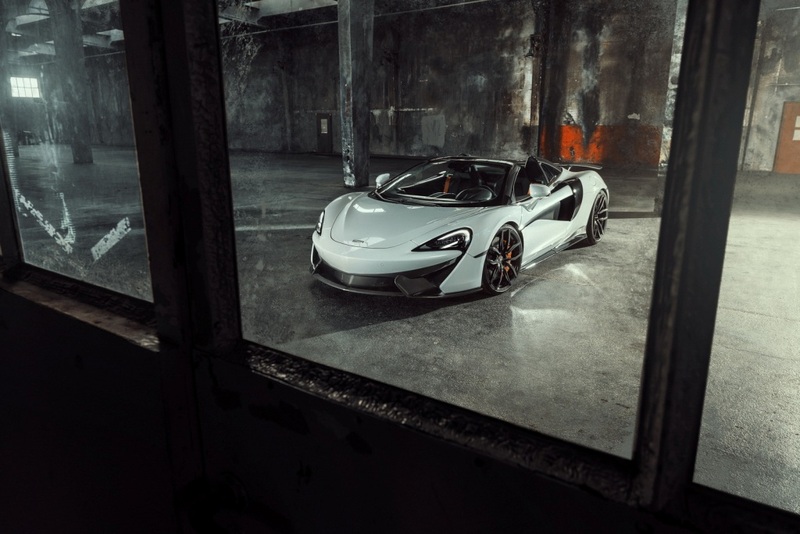 Giving a sports car such as the McLaren 570S Spider an even more thrilling design is the specialty of the NOVITEC designers. 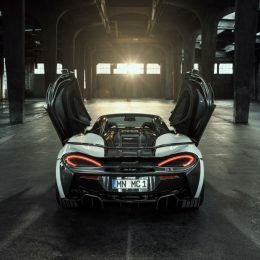 They adapted the naked-carbon aerodynamic-enhancement components initially developed for the 570S Coupe models to the open-top two-seater. 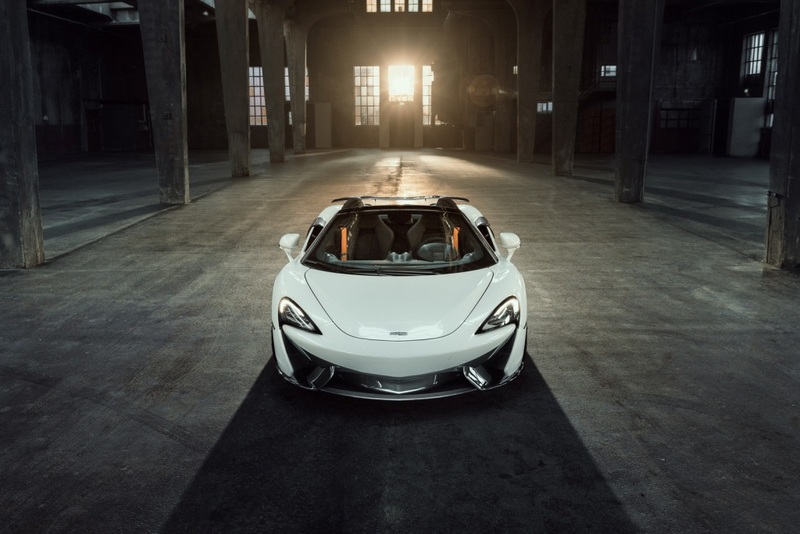 The NOVITEC front spoiler lends the 570S Spider an even more distinctive and athletic front: The refined looks are accompanied by maximum aerodynamic efficiency: The shape of the carbon component was optimized in the wind tunnel to reduce front-axle lift at high speeds. The NOVITEC rear spoiler was designed to elevate the handling stability even further. 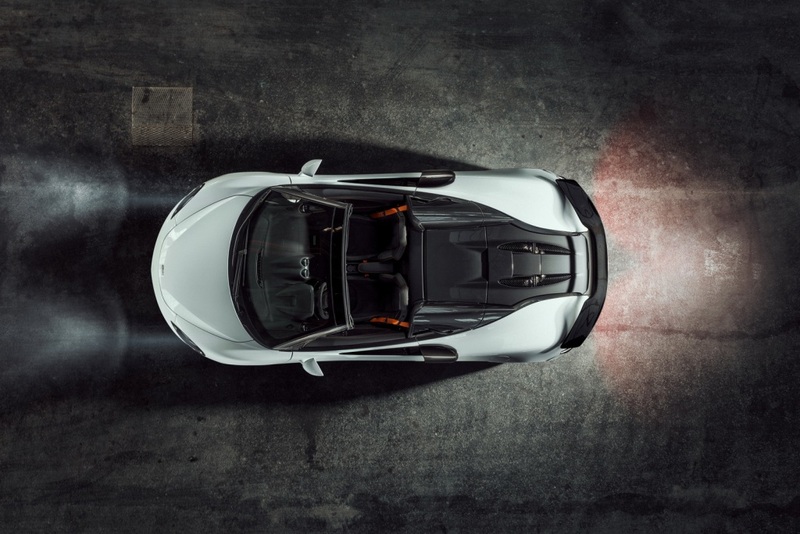 Its contours were adapted precisely to the sweeping rear end of the vehicle. 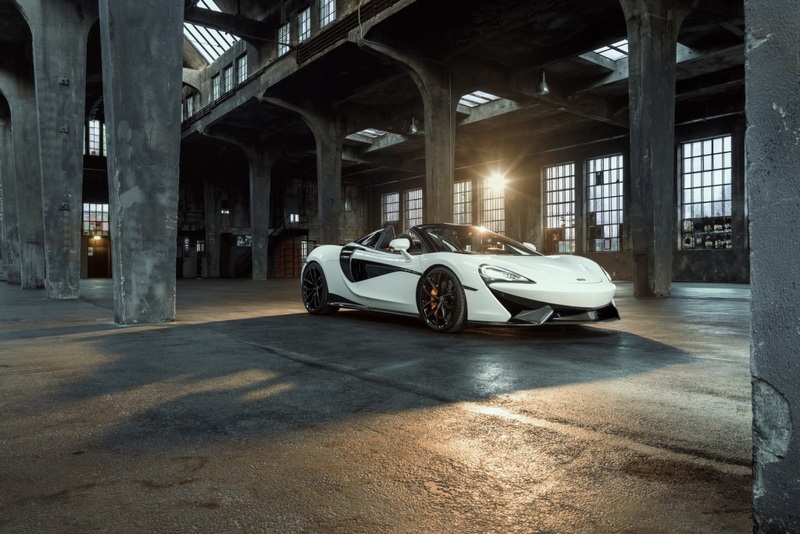 NOVITEC carbon rocker panels, which lend the British sports car a longer and lower visual stance, upgrade the sides of the 570S Spider. In addition, the transition between the front and rear wheel arches now looks even more homogeneous. 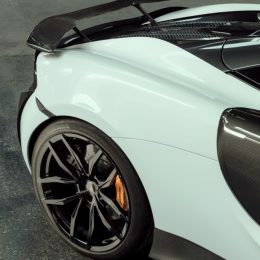 The aerodynamic finishing touches à la NOVITEC also include carbon covers that were tailored-made for the air intakes on both sides of the vehicle. They route the air even more precisely into the air intakes behind the two doors, which supply the engine with combustion and cooling air. 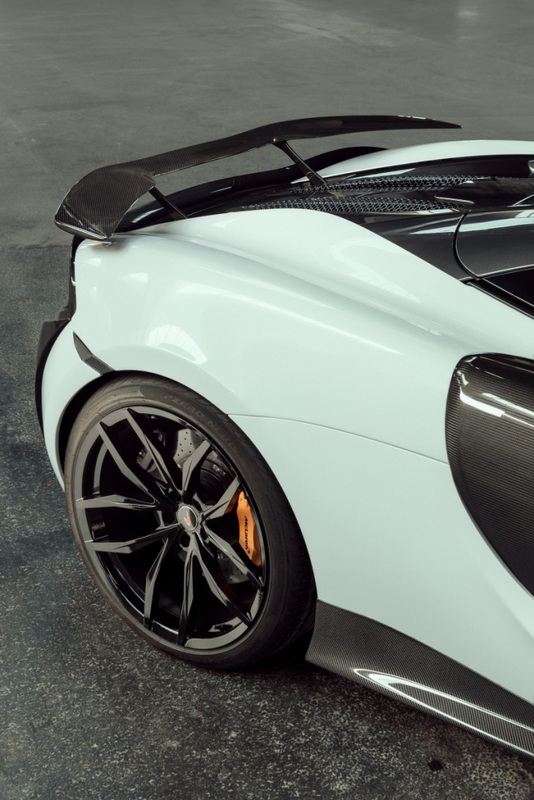 The sporty NOVITEC appearance package is rounded out by carbon covers for the sides of the rear bumper. 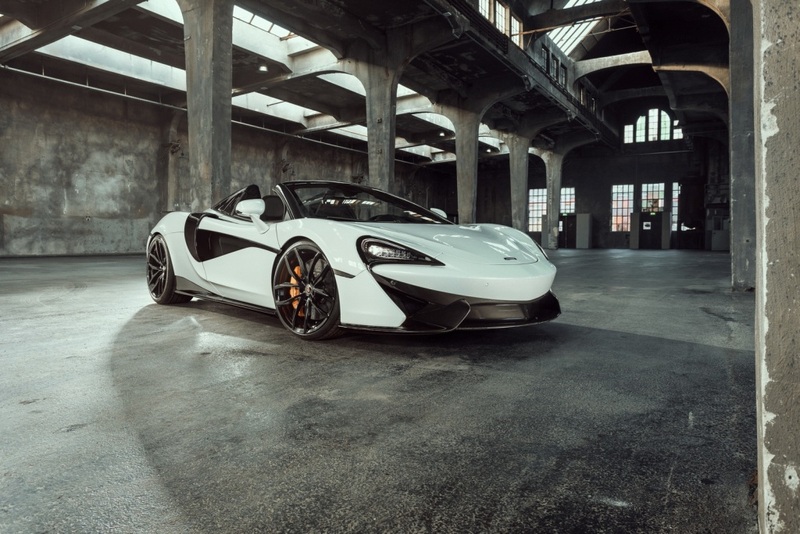 The hi-tech forged wheels specifically developed for the 570 models are just as elementary for the thrilling NOVITEC looks of the open-top McLaren. They are mounted in a staggered combination featuring 20-inch wheels on the front axle and 21-inch wheels at the rear. 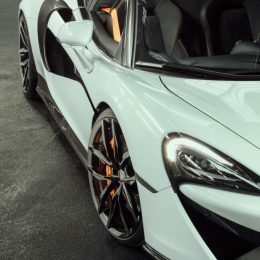 Thanks to their different diameters, they emphasize the wedge shape of the mid-engine sports car visually. As a result of their design featuring five delicate double spokes and being produced using state-of-the-art forging technology, these wheels are extremely light for their king-sized format. The 9Jx20 front wheels with size 235/30 ZR 20 high-performance tires make full use of the available space under the wheel arches, as do the 11Jx21 rims on the rear axle, which are fitted with size 305/30 ZR 21 tires. 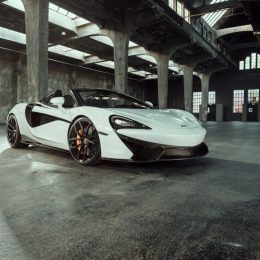 In addition to further enhancing the looks of the Spider thanks to the ride-height lowering by about 30 millimeters, the NOVITEC sport springs also make the handling more direct. 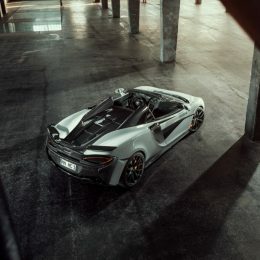 Upgraded in this way, the open-top McLaren is also perfectly prepared for more power. 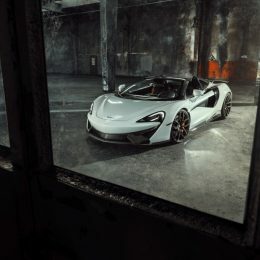 The NOVITEC engine specialists therefore developed three different performance kits for the 3.8-liter twin-turbo V8 engine that powers all versions of the 570 model series. 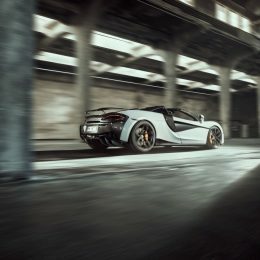 The special feature of this engine tuning is that the driver is able to activate or deactivate it at any time on the ‘Active Dynamic Panel.’ When needed, the two plug-and-play NOVITEC N-TRONIC modules adapted to the electronic engine control unit of the vehicle provide injection, ignition and boost pressure control with new mapping in a matter of seconds. 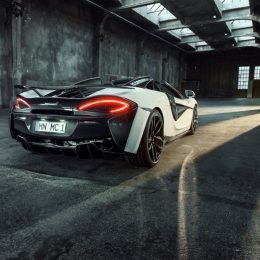 The maximum performance level, which is installed in combination with a NOVITEC RACE high-performance exhaust system, produces an additional 56 kW / 76 hp of peak power. 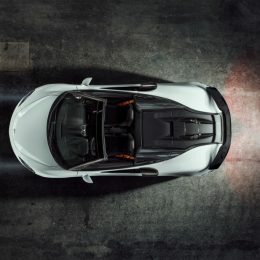 At the same time, the engine develops 92 Nm more torque. 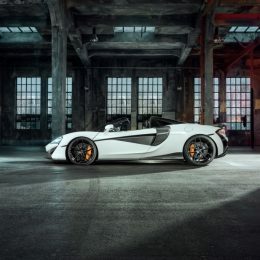 With an output of 475 kW / 646 hp at 7,450 rpm and a peak torque of 692 Nm at 6,250 rpm, the open-top two-seater delivers further improved driving dynamics: From rest, the tuned 570S Spider storms to 100 km/h in just 3.0 seconds. 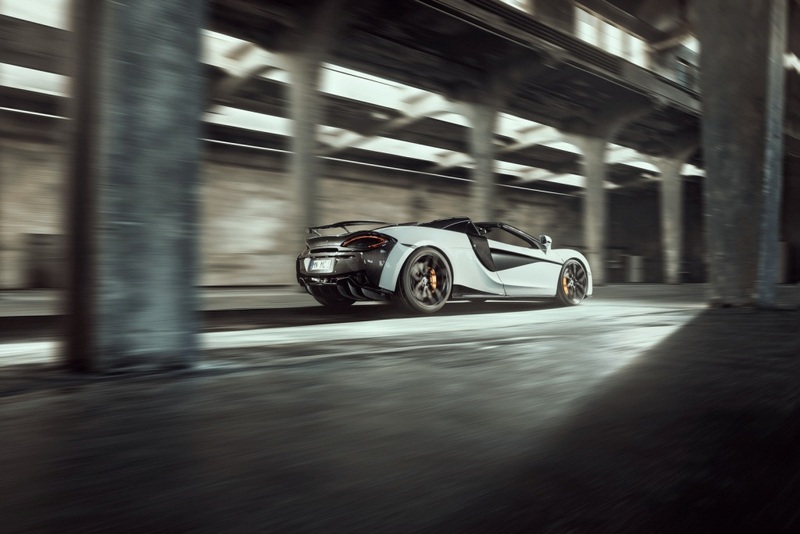 The top speed increases to 335 km/h. However, the NOVITEC performance upgrade offers more than just improved road performance: It also makes the throttle response even more instantaneous. In addition, the power and torque curve is even more potent across the entire rev range. With or without engine tuning: A NOVITEC high-performance exhaust system always delivers better sound and performance. In addition, these exhaust systems feature full thermal insulation, which significantly improves the heat transfer in the engine bay. 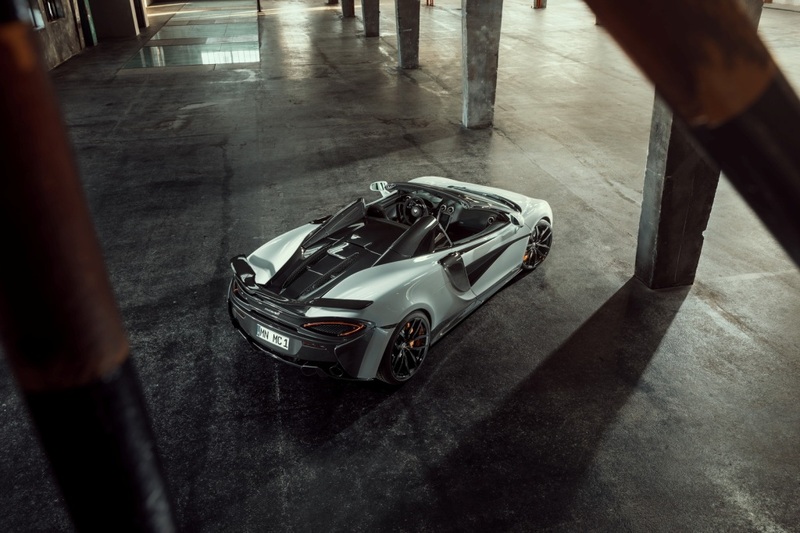 Precision-tailored NOVITEC exhaust systems in different variants made from stainless steel or the even lighter INCONEL material used in Formula One racing are available for all McLaren 570 models. 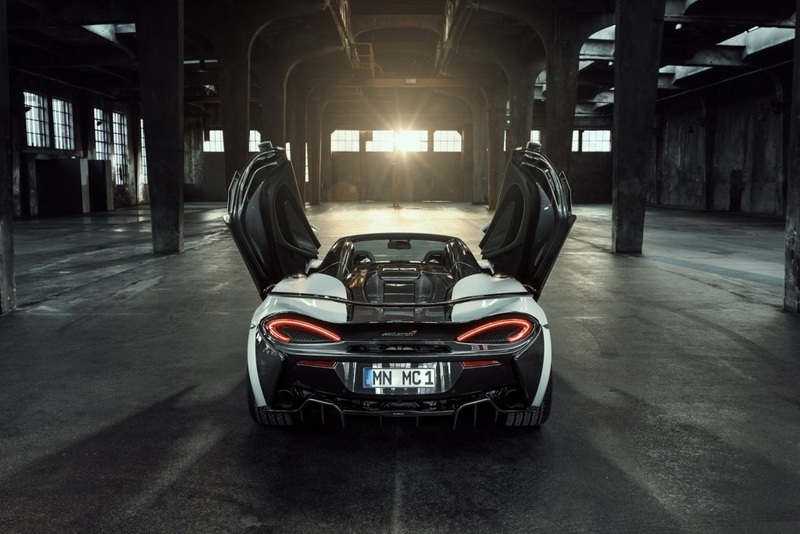 The looks of the two slanted tailpipes on the left and right were adapted perfectly to the contours of the rear end. 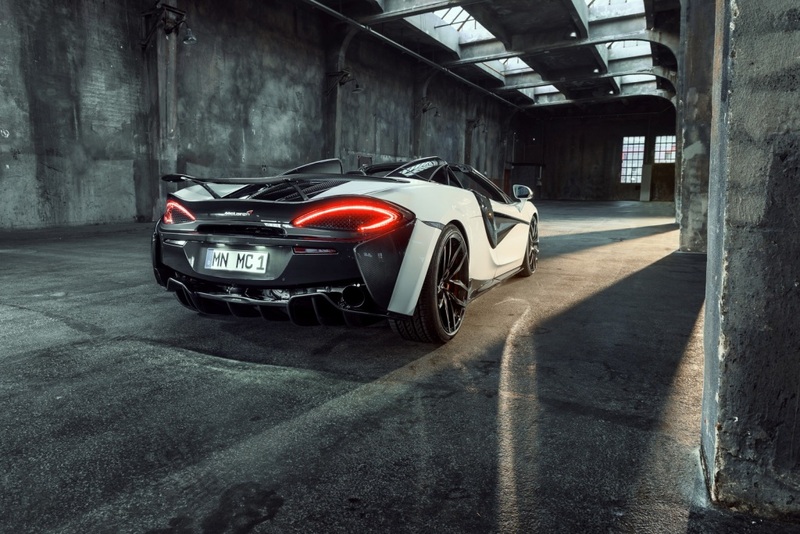 In addition, the NOVITEC product range comprises lighter and more efficient sports catalysts. 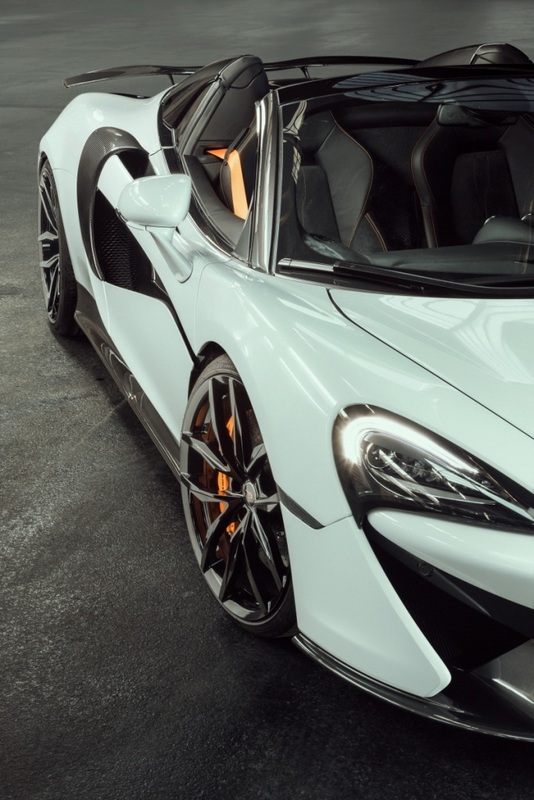 NOVITEC also offers refinement at the highest levels of customization and quality for the interior of all McLaren automobiles. 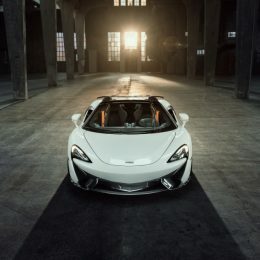 The company transforms the finest leathers and Alcantara in a virtually endless range of colors into the sports car owner’s personal dream cockpit.